This photographer captures Arizona's wild horses in a stunning way! A gorgeous winter scene featuring two wild horses. There’s something special about wild mustangs. They represent a piece of American history. There’s nothing quite like the sight of a wild horse roaming free. If you’re lucky enough, you might be able to catch a glimpse. Until then, check out these gorgeous sightings of these unforgettable animals. The thick fur coats of these Arizona horses help keep them warm during the cooler parts of the year. 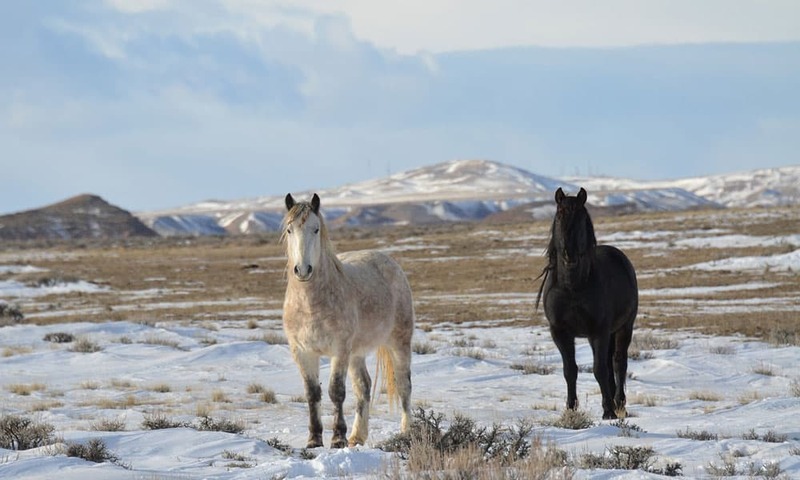 These hardy horses have to endure all types of weather from snow to droughts. There’s always time for playing, especially when you’re a youngster. Mustangs come in all colors, including this stunning palomino shade. Grace, beauty, and a whole lot of spirit…these animals are worth protecting. The American West wouldn’t be the same without them. For more great pictures of Arizona’s wild mustangs follow arizona.wild.horses on Instagram.